Real Madrid star Cristiano Ronaldo is edging closer towards completing a move to Juventus, a source has told Sport Witness today, but there’s different reporting around Europe on the potential move. We have been tracking the story linking the Portuguese international with the Old Lady since the start of this month. On July 4th, Sport Witness reported the Serie A winners are interested in signing the 33-year-old this summer, but at the time the deal wasn’t thought to be close to completion. Last week, there were several reports suggesting that Ronaldo had already agreed personal terms and he could be unveiled as a new Juventus player over the weekend just gone. Despite that, we were informed on July 5th that the forward had not agreed personal terms, but wanted to leave the Champions League winners. Reports even suggested the former Manchester United star wanted to leave Spain due to tax related issues, which was also played down. 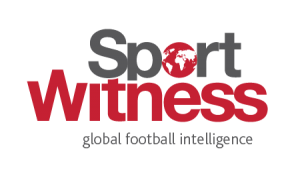 There have been developments over the weekend and the same source has now informed Sport Witness there’s a possibility the deal could be done quickly, even today. Over in Spain, El Confidencial reports Real Madrid’s sponsors ‘are an obstacle’ for Ronaldo’s departure, which is one of the reasons the deal has still not been sealed. They also claim the 13-time European champions are waiting for an offer from Juventus, either directly or via the player’s agent, Jorge Mendes. El Confidencial may be giving the information from a Real Madrid perspective, and it’s clear they don’t think a move is imminent. In Italy, Tuttosport and Gazzetta dello Sport have stories about Juventus president Andrea Agnelli travelling to Greece. 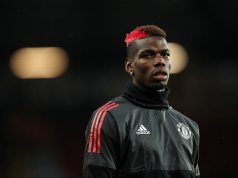 He is not staying far away from where Ronaldo is currently on holiday, and that brings about insinuations the trip may not just be for pleasure. Italian confidence remains on the move being done quickly, whilst in Spain it’s not presented quite as surely. That hasn’t changed for a few days, but there seems to be have been some steps forward on the move, from what Sport Witness has been told.